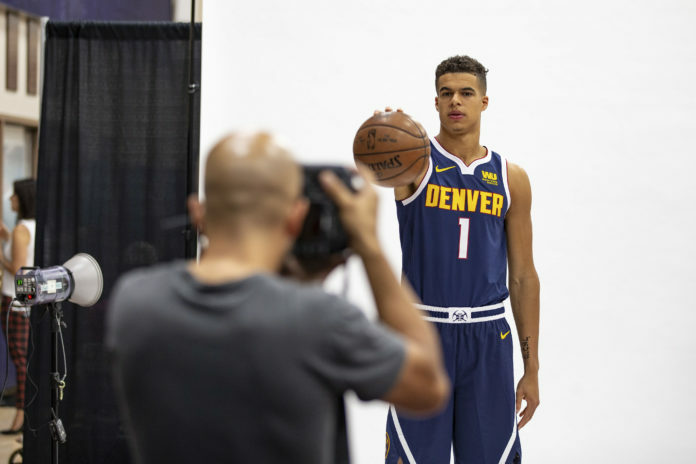 After undergoing a second back surgery just two months ago, Denver Nuggets first-round pick Michael Porter Jr. is eager to watch and learn as he continues to rehab his way back to the court. The major difference in Porter’s second surgery as opposed to his first is his return to play. In college, Porter injured his back during Missouri’s first game of the season, forcing him to miss almost all his freshman season. After playing in Missouri’s final two games of the year, one in the SEC Tournament and one in the NCAA Tournament, Porter undoubtedly rushed his way back from his first surgery. “In college its all about getting back on the floor. These guys (Nuggets staff) its about the long haul,” Porter said when discussing his rehab process. In the situation he’s in now, there’s no need for Porter to rush his rehab process with Denver’s surplus of depth at the wing positions. Guys like Will Barton, Torrey Craig, Trey Lyles, and Junacho Hernangomez are more than capable of filling in until Porter returns from injury. 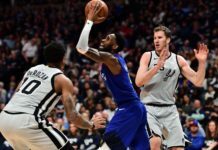 With Barton slotted as the starting small forward, Porter’s going to have to find minutes off the bench, which is something he’s willing to work for whenever he does feel 100 percent yet again. That role won’t become clearer until Porter does return to the court, and no one knows for sure when that will be. “No, right now there’s no timetable. Just chopping wood every single day, getting better, as I get better that’s something we’ll talk about. But, right now there’s no timetable,” Porter said. With no timetable set and Porter sidelined for the foreseeable future, it might not all be bad for 20 year-old rookie. Watching from afar will allow Porter to grow as an NBA player in terms of being able to learn what it means to be a professional and see how the pace of the play works at the next level. With Porter playing just 53 minutes in college, the room to grow and learn is certainly there for a guy who hasn’t played a full season of basketball in almost two years. One guy Porter has taken a keen eye to is Nuggets back up point guard Isaiah Thomas. Like Porter, Thomas is also rehabbing from a major injury as both players have been able to go through the rehab process together. Thomas isn’t just making an impact on Porter in the rehab room, but on the court as well. 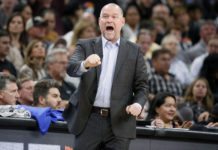 With both Porter and Thomas having roots in the Washington area, it has allowed them to build a relationship that stems beyond their journey to the Nuggets. With the Nuggets having one of the youngest rosters in the NBA, a veteran like Thomas could play huge dividends for Porter’s development on and off the floor. Another major key in Thomas and Porter’s relationship is the possible outcome they share a lot of time on the court together. If Porter plays this season, it’ll most likely come off the bench, which is the unit Thomas runs as the back up point guard. 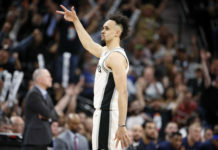 Whether he’s playing with Thomas or anyone else on the floor, Porter is eager to fit right in amongst his teammates when he finally does return to play. There’s no telling when Porter will return to the court, but luckily for him and the Nuggets organization, there’s no rush. After two back surgeries Porter is taking his time in the rehab process, and that’ll only benefit him and the Nuggets franchise in the long-run. For a player that was a top-three talent in last year’s draft, the sky’s the limit for Porter, but he has to be 100 percent healthy before he can get there.